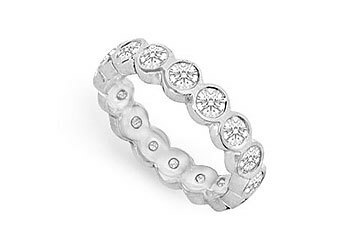 An endless circle of diamonds conveys a sense of no beginning or end a symbol of your eternal love. Brilliant-cut round diamonds are bezel-set in a 18K white gold mounting. This eternity band has a total diamond weight (TDW) of 1.50 ct.